our friends hit you up for a pick-up game of basketball, but you realize that while you want to feel comfortable while playing, you also want them to see you mean business. When you get this Jose Valanciunas Toronto Raptors Swingman climacool jersey from adidas, you'll be able to add to your wardrobe not only an authentic jersey, but something that fits your style to a tee. 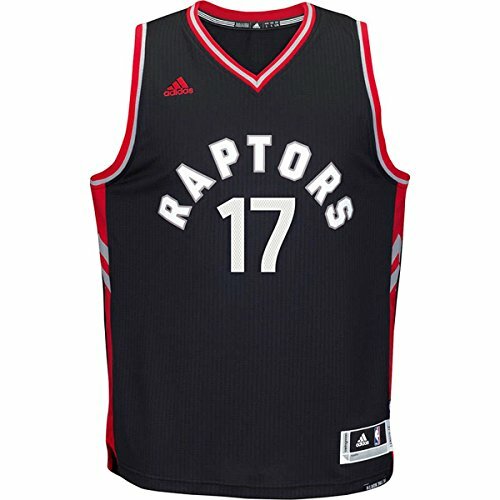 This jersey is what Jose Valanciunas and the other members of the Toronto Raptors wear out onto the court for their games. The name and number are heat applied onto the jersey which gives it a performance feel, so you can hit the court and look great. It's made with re-engineered climacool fabric which gives you enhanced comfort.